Pro Wrestling Guerrilla's 2010 Battle of Los Angeles takes place Saturday, September 4, 2010, at 8:00 PM and Sunday, September 5, 2010 at 7:00PM at American Legion Post #308 in Reseda, CA. American Legion Post #308 is located at 7338 Canby Ave., Reseda, CA 91335. Front Row tickets are $30 per night when purchased in advance, and $35 per night when purchased at the door. General Admission tickets are $25 when purchased in advance, and $30 per night when purchased at the door. Tickets go on sale on Tuesday, August 10, 2010 at http://www.prowrestlingguerrilla.com, and will be available for pre-sale through 11:59PM on August 30, 2010. Any remaining tickets will be available for purchase at the door. Seating is limited. Video recording devices are not permitted. Card subject to change. Nice to see Daniels back. I think he'd be a good fit helping get the young talent over. Woohoo! Got me and my brother's front row tickets for both nights. Seven was our first event and we both fell in love with PWG. I really can't wait for this. Got my 2 front row tickets for both nights. I attended bola for the first time last year, and it looks like this year its going to be better. 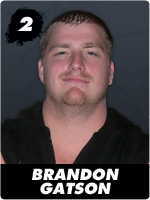 Im hoping for more entries like danielson, hero, strong, mcmg, aries, london, generico and steen. Wooooo! I'm starting the line at the hall TODAY. Cool me and my friends are going, 5 front row tickets. Although I hope the show is great, I won't be attending as long as it's at the Legion Hall. The last show was already overflowing with people. Having a BOLA show at Reseda is just ridiculous. It may have worked a couple of years ago, but PWG was less known then. Unfortunately I probably won't be going to anymore shows until they move to a larger venue. Htornado wrote: Although I hope the show is great, I won't be attending as long as it's at the Legion Hall. The last show was already overflowing with people. Having a BOLA show at Reseda is just ridiculous. 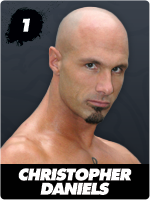 It may have worked a couple of years ago, but PWG was less known then. Unfortunately I probably won't be going to anymore shows until they move to a larger venue. Does anyone have any idea how often new participants will be announced? I didnt feel safe at Seven, and with Daniels being the first participant announced I know it will only get more crowded. Looks like I'll be reading twitter and checking the boards frantically on sept 4th and 5th. Wonder if Gatson will get as far as he did last year. 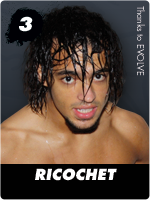 Ricochet is an interesting surprise. Will look forward to see what he brings to the table. Wow this BOLA is already looking sweet. I'm psyched for Richochet, he is wrestling for Chikara as Helious I believe and he has come a long way and really improved in the past few years. I remember watching him in IWA, so thank you PWG for booking Ricochet, very good choice for BOLA.